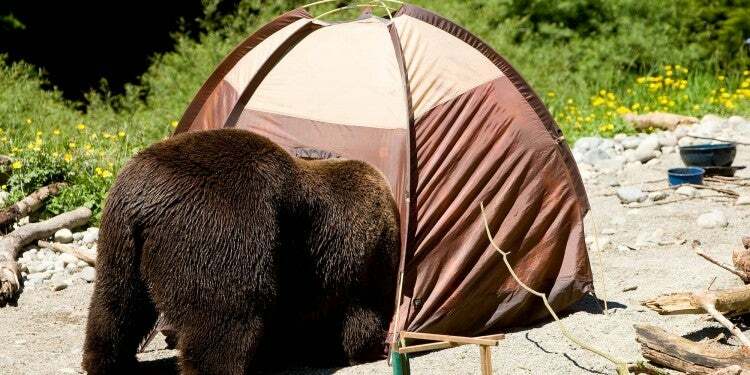 Are You Crazy About Camping? You Might be a "Pioneer"
Did you know every camper who signs into The Dyrt’s platform of over 6 million has a Pioneer Level? 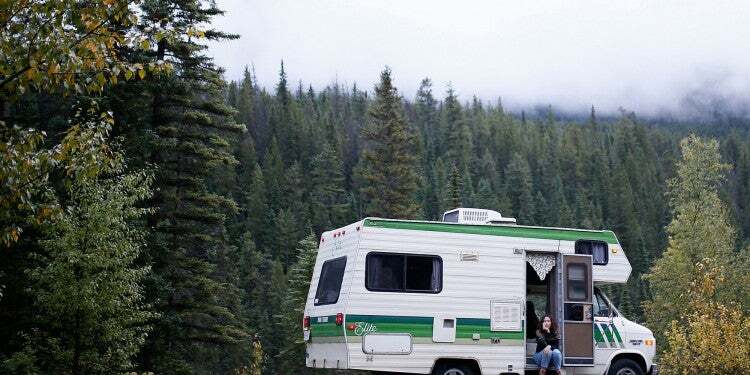 Many people are Pioneer Level 0, where they’ll stay forever: they’ve never reviewed a campground, and may never (though you should, as we’re giving away 100+ prizes to campers every month). 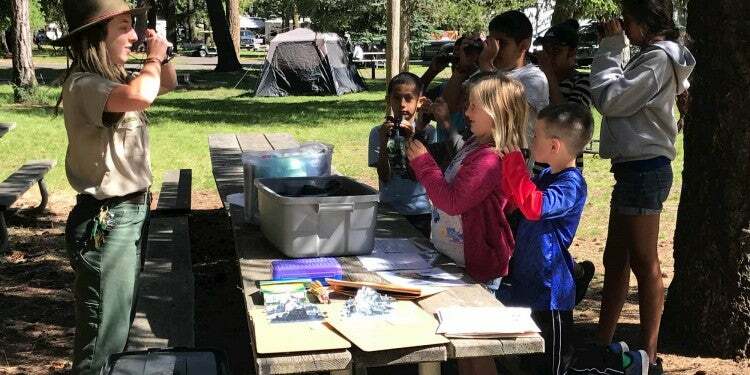 Some campers, though–the truly wild ones–spend their summer leveling up their Pioneer Level. So what does it mean? Most people prefer comfort. Most people prefer to go where other people have gone before them, for good reason. You know what you’re getting into. After all, that’s the whole reason we built The Dyrt: to access the most up-to-date and comprehensive information about campsites across the US. Pioneers are not most people. 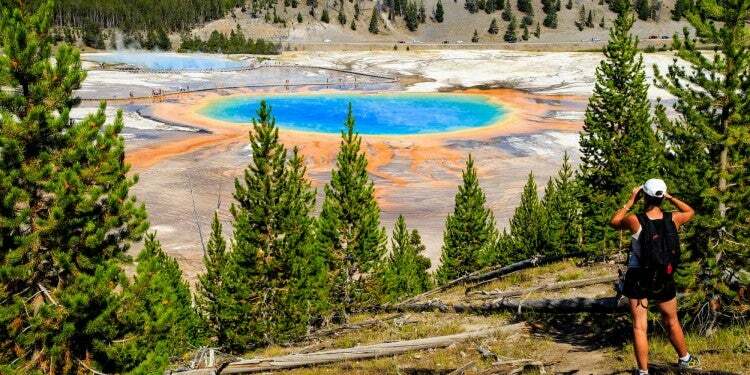 Pioneers on The Dyrt have been the first campers to review or photograph campsites across the US. The more they explore, the higher their level. Be the first person on The Dyrt to contribute a review or photo of a campground. It can be somewhere you went 5 years ago or somewhere you’re going next weekend, all that matters is you’re the first to review it on The Dyrt. When you’re the first to review, your review will forever show “First to Review” on that campground. 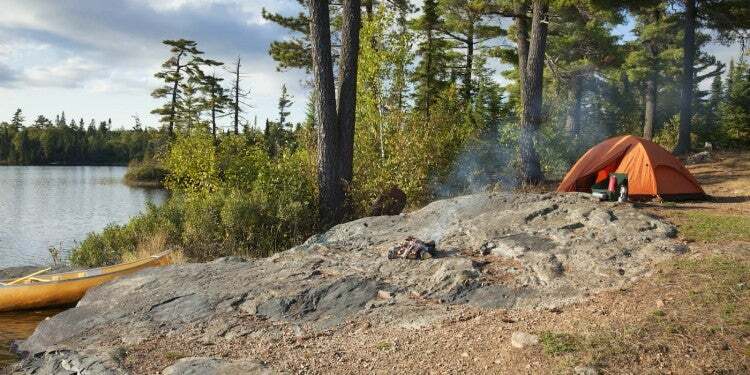 The more you campgrounds you review first, the higher your Pioneer level gets. Track your progress after each review. Explore more, increase your Pioneer level, and join the ranks of the most adventurous campers. The tricky part? The higher your Pioneer Level, the harder it gets to reach the next level. 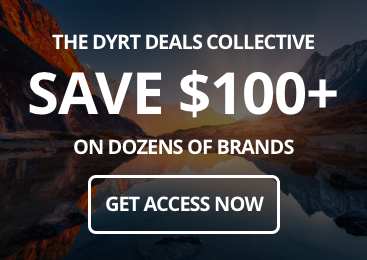 It only takes 3 first reviews to reach Level 1, but if you’re a Pioneer Level 8, you’ve done something truly incredible: you’ve been the first person on The Dyrt to review over 100 campsites. Pioneers are crafty. They have a way of doing things that values efficiency above all else. If you think you have what it takes to join the ranks of the top campers on The Dyrt, The Bounty Board is going to be your friend. 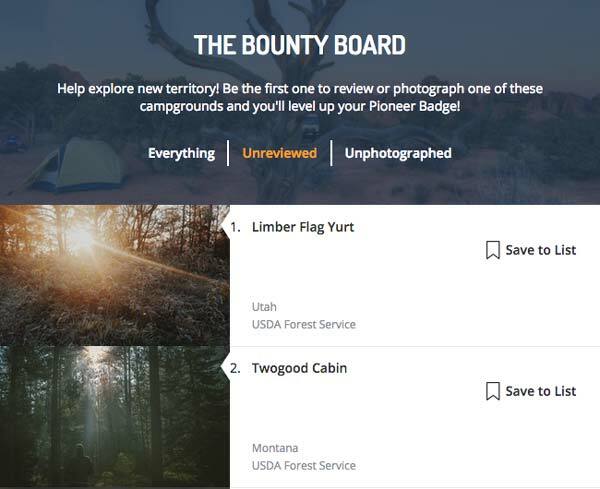 While millions of other campers search The Dyrt to view our thousands and thousands of reviews and photos, The Bounty Board lets you stare through the noise and focus on the unexplored. Most people would be uninterested, but true Pioneers see it for what it is: a level-up goldmine. Think you have what it takes? Take advantage of The Bounty Board, be the first to review any campground you’ve been to, keep contributing, and join the ranks of the most adventurous campers across the U.S.